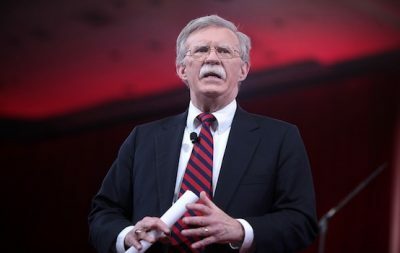 John Bolton just ordered al-Qaeda to use chemical weapons against our civilians. Nothing is clearer than that. The over two decades-long director of Human Rights Watch (HRW), Ken Roth – who couldn’t even discern whether a video was Gaza’s Israeli-flattened Shuja’iyya or Syria when he tweeted about it being Aleppo in 2015 – is re-beating the Ghouta 2013 dead horse to scare would-be humanitarians around the world. The Western narrative of events in Ghouta been widely-discredited by journalists, and by the so-called “rebels” themselves.